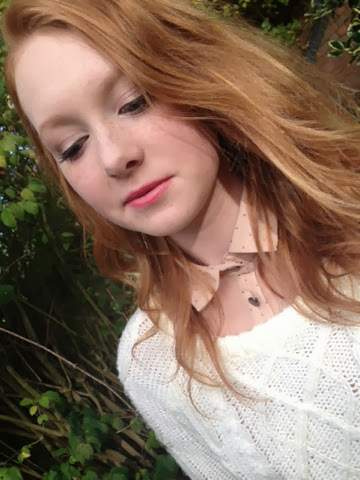 DancingandDaydreaming. 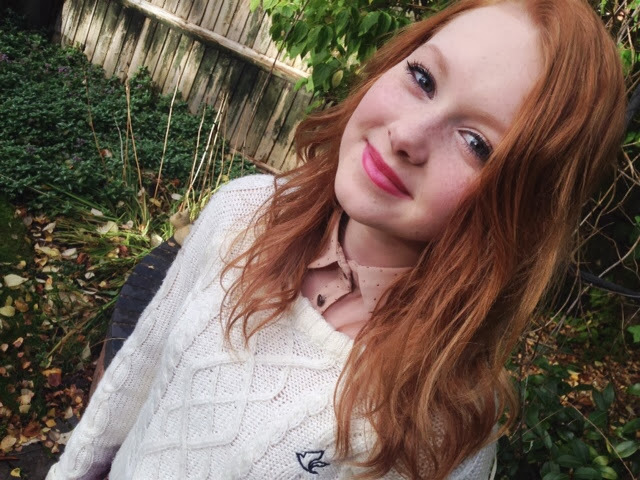 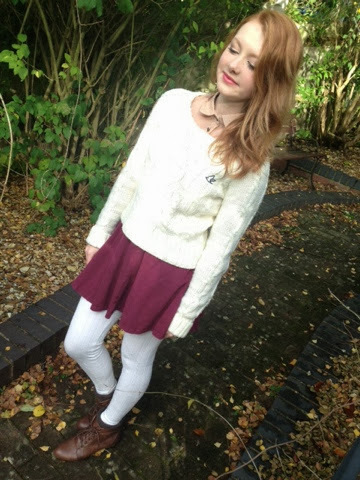 : Autumn Days OOTD with Grace! 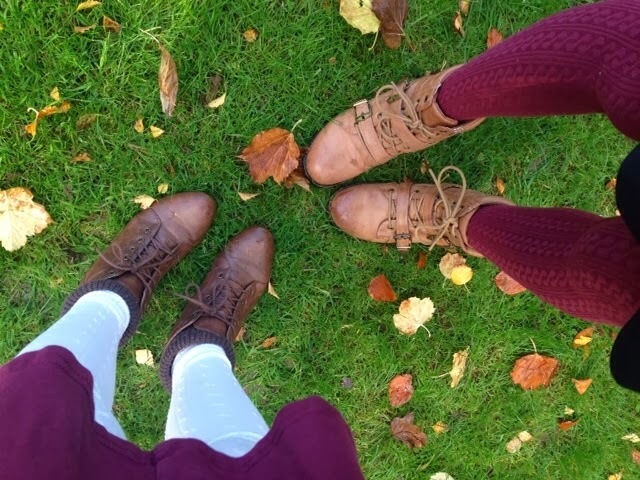 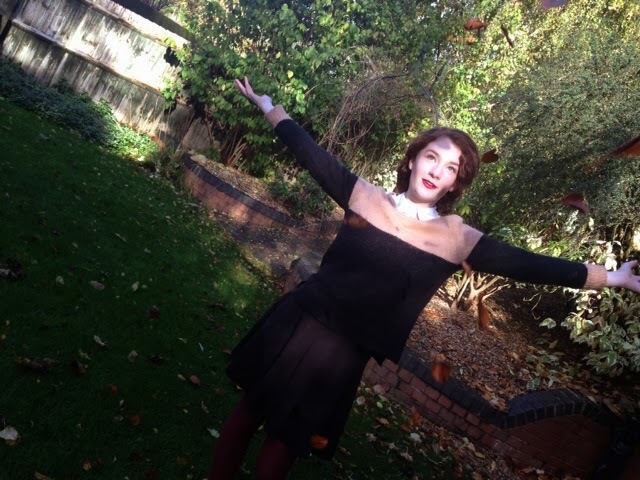 Autumn Days OOTD with Grace! 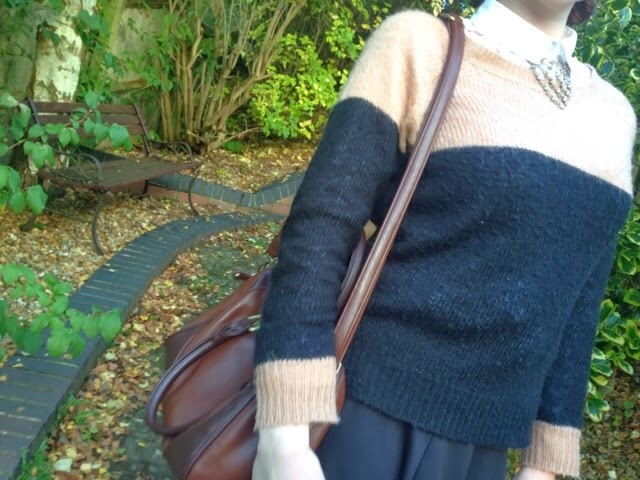 Hello lovelies, it's pretty weird how I haven't wrote a post for quite a while then two come along at once! 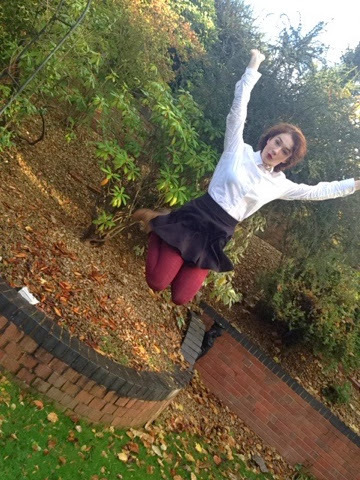 But nevertheless, this is a pretty exciting one because me and my friend Grace (Gracesaysrawr_ on instagram) decided we both wanted to do one of these posts so we took some photos together as a sort of collab. 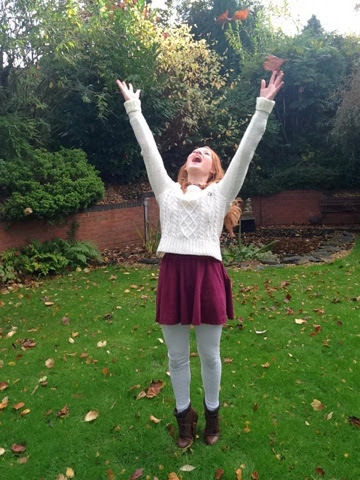 We put together some cute autumn pieces for an OOTD so enjoy! 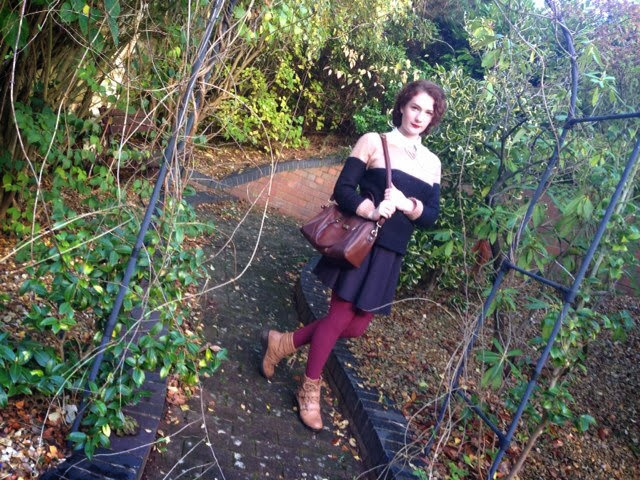 Grace's outfit is a autumnal themed, grungy look with lots of lovely layers like the chunky burgundy knit tights and striped woollen jumper! 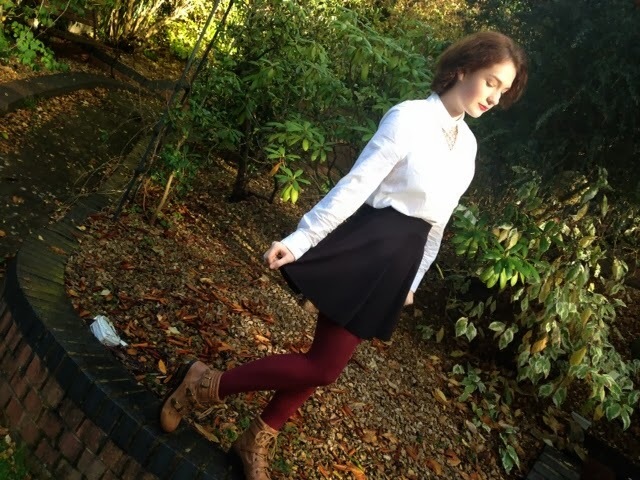 Comment below what you think of the outfit and if you'd be interested in recreating it! 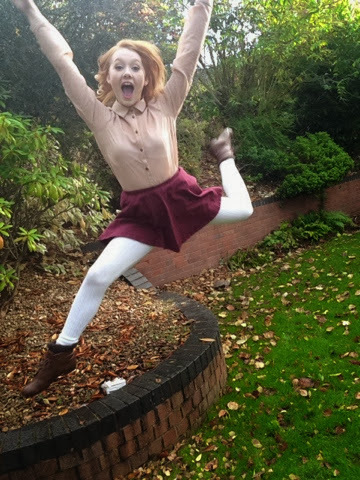 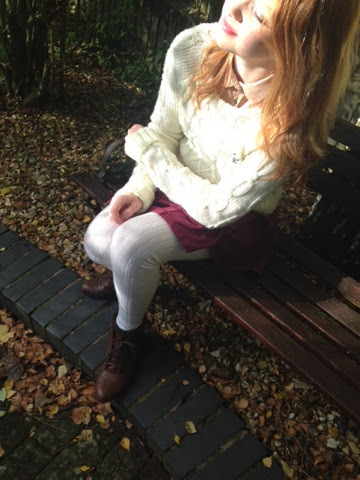 Mine is a more girly take on the layering look, with cream tights and jumper and a pink chiffon shirt, with a burgundy skater skirt! 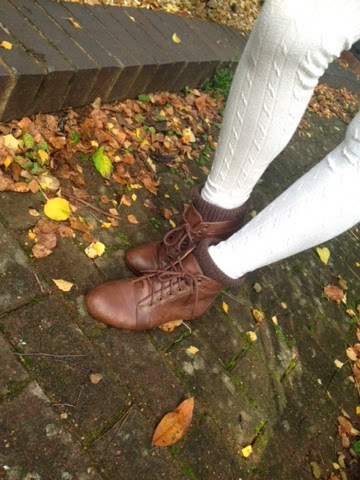 I also have little brown ankle boots which are so cute for the autumn and winter time.